In Venezuela there are 1073 landmines waiting for a victim. 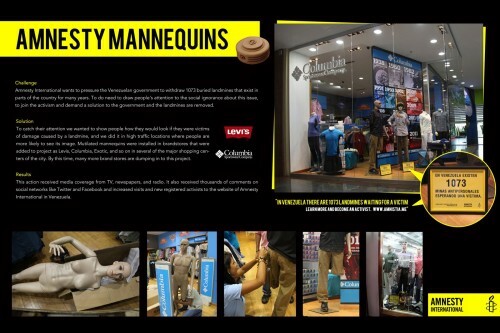 The Ambient Advert titled Mannequins was done by Draftfcb Caracas advertising agency for product: Amnesty International (brand: Amnesty International) in Venezuela. It was released in the Apr 2012.